This past week, President Obama announced a $215 million proposed genetic research plan, called the Precision Medicine Initiative. According to the plan, the NIH would receive $130 million towards a project to map the DNA of 1 million people, the National Cancer Institute would receive $70 million to research the genetic causes of cancer, the FDA would receive $10 million to evaluate new diagnostic drugs and devices, and finally, $5 million would be spent on tech infrastructure to analyze and safely store this data. Not surprisingly, this announcement sparked some online controversy. If internet pundits are to be believed, this plan is going to prevent you from ever finding a mate, an employer, get health insurance, cause us all to become part of a giant genetic experiment to tailor human beings, and will also put us into crippling debt and line the pockets of Big Pharma. I’m not even sure I covered it all…The complaints ranged from reasonable to ridiculous. The most amusing are the conspiracy theorists who are certain that Obama must be plotting a genetic apocalypse. But, in all seriousness, I have to admit I have concerns as well, despite being mostly optimistic about this news. 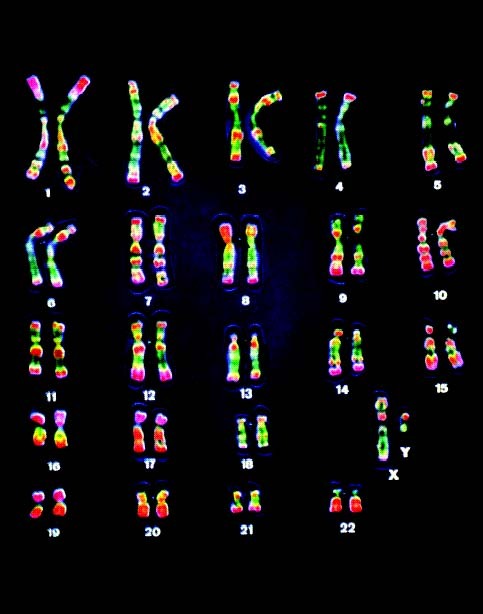 New diagnoses: We may finally be able to identify genetic causes of diseases that were previously unknown. Prevention vs. disease management: Knowing genetic risks ahead of time can help us to focus more on preventing disease rather than reacting after-the-fact, once the disease occurs. Early diagnosis: We may be able to detect diseases earlier and at a more treatable stage. Protective genes: Some people have certain genes that protect them against diseases or prevent them from “expressing” their bad genes. Studying these differences may help us to learn how to protect ourselves against those diseases. Drug development: Therapies can be developed in a faster and more efficient way by targeting certain genetic problems, rather than using the traditional trial-and-error method. Personalized treatments: Treatments can be tailored to a patient’s unique genetic aberration and we can avoid giving treatments to patients that we know may cause adverse reactions or that will fail to work. Population health: We can study genetic patterns in populations of patients to find out causes of diseases, develop treatments, and find ways to prevent disease. Healthcare costs: There’s a potential to reduce healthcare costs if focus changes to prevention rather than treatment of disease and also if we can streamline drug development. Data storage: We already know that gene sequencing of an individual produces MASSIVE amounts of data. The sequencing of a million people is going to produce unimaginable amounts of data. How will we store all this big data and analyze it to make any sense of it? Privacy/Security: Is there anything more personal and vulnerable to cyber-attack than your genetic information? I wonder if the $5 million allotted to this effort will really be enough. Data relevance: According to Obama, the data will be collected from 1 million volunteers. That’s not a random cross-section of people in the US and may not represent the population adequately in order to make population health recommendations. I’d argue that only certain types of people would sign up and other types won’t. Would we miss certain disorders? Would we see too much of another disorder in a population of volunteers for this project? Culture: How do we prevent people from abusing this information and not using it to screen potential partners, deny insurance coverage, denying jobs? How will this affect culture? Will we be cultivating a different kind of racism, on a genetic basis? Are we on the path to a real-life version of the movie Gattaca? Ownership: Who will claim ownership of this data? Will it be the government? I’d argue that this data should be owned by the individuals from whom it comes, but the experience of the genetic sequencing (now genetic ancestry) company 23 & Me is worrisome. For the time being, the FDA has blocked the company from allowing individuals from having access to their own genetic information. Will this change as part of the new initiative or not? Drug/device industry: Genetic research and development of treatments has been very promising and productive in the private sector. How will government involvement affect research? Will our governmental agencies work cooperatively with them or competitively? Again, if the experience of 23 & Me is any indication, this is a real concern. Healthcare Costs: Yes, there’s potential to decrease costs, but there’s also potential in greatly increasing costs. It’s no small feat to genetically map a population, analyze the information, store it safely and securely, and develop recommendations and treatments. Part of me is excited about the potential and I think that it probably does take a huge governmental initiative to tackle and impact population health, but another part of me is concerned about government invading a space that is so personal and private and I wonder if it could slow down progress in developing life-saving therapies in the private sector. What do you think? Are you excited or nervous about President Obama’s Precision Medicine Initiative?